360-HQ.COM :: ? for the Mass Effect 2 players..
Post subject: ? for the Mass Effect 2 players..
Ok, so I share an xbox with my brother, We each have our own profile on the same console, mine does not have xbox live, His does. We just downloaded all the Mass Effect Down Load Content using my brothers profile. I would like to play and make use of the DLC. But if I play using his profile I would be taking the fun of getting the achievements from him and I dont think you can have more than 1 Mass effect profile going at one time on a single xbox gamer tag. Am I wrong? 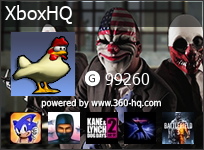 Can we each have our own game saves/separate characters at the same time on a single xbox profile? I could not figure it out, If it is possible please post how to do so. Now I can just play on my one gamer tag but is there any chance of me having access to the DLC downloaded to the console? It was downloaded to his profile but was hoping since we are sharing the same HDD that maybe it would give me access to the same content. Is this correct? Or would I have to DL it all over again? To do so I would have to pay for another xbox live tag and probably have to pay for the content again?? I hope I can ither have a separate saved character and game on the same xbox live account when playing mass effect 2, or be able to access same dlc on my tag. ...Otherwise it is either one of us waits till the other one plays the game all the way through and then the other guy can make a new profile and take his turn, or I will just have to play with none of the DLC. So if anyone knows for sure on any of this please feel free to post. This brings you to your last save which was the second profile I made. then I went to LOAD GAME screen and noticed on the bottom of the screen there was an option to press Y (switch careers) I pressed it and boom, there comes up both the profiles I made. 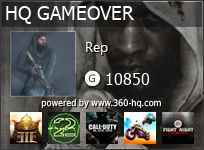 Awesome, so now I know you can have multiple games going on a single gamertag at the same time. But I still am wondering if you can still access DLC on separate profiles using same console and HDD. I really wish i could help you gxo but i've got no idea when it comes to DLC for mass effect 2... I would say more then likely it will be locked to the CONSOLE and GAMERTAG like most other DLC for other games.. If i find any info about switching profiles and using DLC i will be sure to let ya know..
btw.. I've noticed you have been playing lots of ME2.. Good to see your liking it..